Lynx at Sparks, 4:00 p.m. This time it’s the Lynx’s turn for revenge. The last time these two teams met, the Sparks channeled their frustrations from their 2017 Game 5 Finals defeat and handed Minnesota a loss on their home court in both teams’ season-opening game. 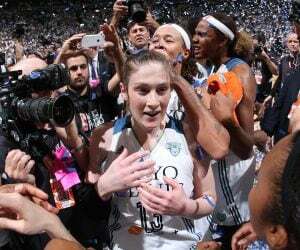 Now the Lynx travel to Los Angeles to try and return the favor. The long-time rivals are a great matchup in terms of talent, but their seasons have gotten off to very different starts. The Lynx have struggled in the season so far. They’ve dropped three in a row and sit at 2-4 on the season. The Sparks are 3-1. Their star trio of Nneka Ogwumike, Chelsea Gray, and Odyssey Sims is excelling, especially Ogwumike, who is averaging 20.3 points and 7.8 rebounds per game. Ogwumike’s production might have something to do with the fact that the Sparks have been without her fellow frontcourt star Candace Parker for most of the season. Parker missed three games with a back injury before returning and scoring 10 points off the bench for the Sparks in their last game against the Mercury. 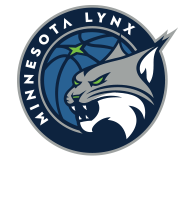 Maya Moore had her best game of the season on offense in the Lynx’s loss to Phoenix on Friday, scoring 25 points on 9-16 shooting. 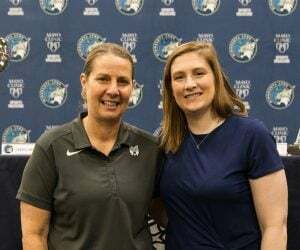 She’ll look to build upon that success as the Lynx work to get back into the championship form they know they are capable of. It’s always tough to play on the road, especially against a team as talented as L.A., and to further complicate the matter, the Sparks have the benefit of rest on their side. They haven’t played since last Sunday, while the Lynx are only one day removed from their tough game against the Mercury. Turnovers were Minnesota’s downfall in their season-opening game against the Sparks, and tired legs can sometimes lead to sloppy play. They’ll need to be extra careful with the ball against an aggressive L.A. defense that loves to press and force turnovers. The Sparks lead the WNBA in opponent turnovers with 19.8. The Lynx, who play an entirely different style, only average 10.2 takeaways per game. This would be a great game to win. 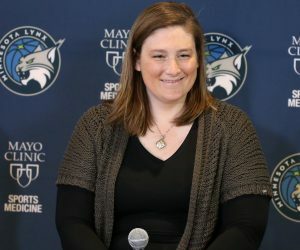 A statement victory on the road against one of the best teams in the league (not to mention the Lynx’s rivals) would be a phenomenal way to get back on track. 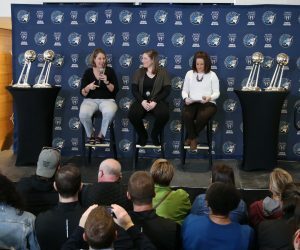 The Lynx players haven’t lost confidence, so you can be sure they’ll come out with some swagger and try to take one from the Sparks on their home court. Tipoff is set for 4 p.m., you won’t want to miss this one. Sparks: Jantel Lavender and Maria Vadeeva are still overseas.